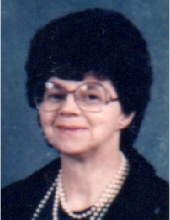 Mrs. Virginia Bays Duncan, age 77, of Fort Knox, Kentucky, passed away Monday morning, October 15, 2018, at her residence. She was born January 26, 1941, in Rowan County, Kentucky, a daughter of the late Lee and Geneva Petitt Bays. Virginia proudly served her country in the United States Army and was of the Baptist faith. She enjoyed going to church and spending time with her family and friends, especially with her grandchildren. In addition to her parents, she was preceded in death by her husband of 36 years, Daniel Duncan; one brother, Delmar Bays; and one infant sister. Virginia is survived by two sons, Jay Duncan of Verona, Italy, and Ralph Duncan of Payneville, Kentucky; one daughter, Kristi Duncan of Bradenton, Florida; four grandchildren; and one brother, Roger Bays of Elkhart, Indiana. She also leaves many other family members and friends who will sadly miss her. Funeral services will be held at 2 p.m. Sunday, October 21, 2018, at Globe Funeral Chapel in Olive Hill, Kentucky, with Brother J.C. Bond officiating. Burial will follow in the Garvin Ridge Cemetery in Olive Hill, Kentucky, with full military honors presented by the Olive Hill American Legion Post #138 at the graveside. Friends may visit from 1 p.m. to 2 p.m. Sunday, October 21, 2018, at Globe Funeral Chapel, 17277 West Highway US 60, Olive Hill, Kentucky 41164. "Email Address" would like to share the life celebration of Virginia Bays Duncan. Click on the "link" to go to share a favorite memory or leave a condolence message for the family.